Today women are lifting weights to build muscle, wrapping their bodies in seaweed to reduce unwanted water retention, attending weigh-ins at diet centers, and devoting themselves to many other types of "body work." Filled with the voices of real women, this book unravels the complicated emotional and intellectual motivations that drive them as they confront American culture's unreachable beauty ideals. This powerful feminist study lucidly and compellingly argues against the idea that the popularity of body work means that women are enslaved to a male-fashioned "beauty myth." Essential reading for understanding current debates on beauty, Body Work demonstrates that women actually use body work to escape that beauty myth. Debra Gimlin focuses on four sites where she conducted in-depth research--a beauty salon, aerobics classes, a plastic surgery clinic, and a social and political organization for overweight women. The honest and provocative interviews included in this book uncover these women's feelings about their bodies, their reasons for attempting to change or come to terms with them, and the reactions of others in their lives. These interviews show that women are redefining their identities through their participation in body work, that they are working on their self-images as much as on their bodies. Plastic surgery, for example, ultimately is an empowering life experience for many women who choose it, while hairstyling becomes an arena for laying claim to professional and social class identities. 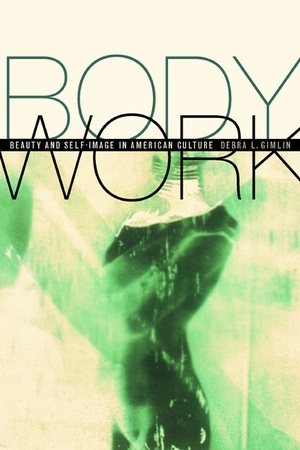 This book develops a convincing picture of how women use body work to negotiate the relationship between body and self, a process that inevitably involves coming to terms with our bodies' deviation from cultural ideals. One of the few studies that includes empirical evidence of women's own interpretations of body work, this important project is also based firmly in cultural studies, symbolic interactionism, and feminism. With this book, Debra Gimlin adds her voice to those of scholars who are now looking beyond the surface of the beauty myth to the complex reality of women's lives. Debra L. Gimlin received her Ph.D. from SUNY, Stony Brook, and is now Vice President of V2, Inc., based in Philadelphia. She lives and works in Bristol, England.